How Far is Mahindra L'Artista? With signature style luxury residences in a distinctive landscape; a true harmony of art, style and luxury, L'Artista takes sophisticated living to a different level of refinement. L'Artista was inspired by the historical character of Pune's verdant gardens that have dotted the cities for centuries. 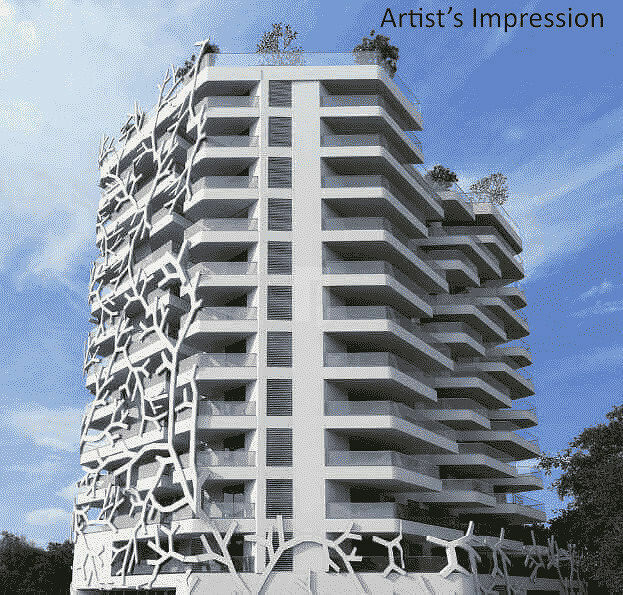 The sprawling trees find a new expression as the prime motif of L'Artista's exterior design. International architecture firm SAV has conceptualised the structure in a way that the unique facade creates a distinctive mood in each apartment. Each elevation is designed to be unique on each side based on how much sunlight it receives as well as the view of the city as seen from inside. The concept is also extends to the landscaped gardens on the grounds of the property, in the form of pathways and decked areas. More than just a residence, Mahindra L'Artista is a veritable work of art. Inspired by gardens and trees, L'Artista embodies its creative vision with a host of sustainable living initiatives. It inculcates everything, from rainwater harvesting to top soil preservation, energy efficiency and more. One of a kind flats in Ghorpadi Pune, L'Artista are the epitome of sustainable living in the new millennium. Echoing a vision of thoughtful luxury, these flats for sale in Ghorpadi Pune, are well designed with opulent rooms and balconies that seamlessly blend aesthetics and functionality. L'Artista is an abode for those with impeccable taste. Here, a home is more than just a luxurious residence, it is a fitting canvas for your very own masterpiece. Mahindra Lifespaces is one of the leading real estate development companies in India. We have projects across the country to provide urbanized living spaces to all. 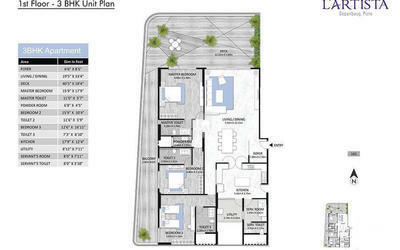 We work for sustainable living and espouse green design. Mahindra Happinest Phase II is an under construction project by the builder located in Avadi Chennai. The builder is active and is owning Projects in Mumbai, Pune, Delhi NCR, Nagpur, Hyderabad, Chennai, Bengaluru, Jaipur & Ahmedabad. Since its inception in 1994, Mahindra Lifespace Developers Ltd. is the real estate and infrastructure development business of the USD 19 billion Mahindra Group, and a pioneer of sustainable urbanization in India. Aqualily Mahindra World City a ready to occupy project by the builder situated in Mahindra city, GST. The Company is committed to transforming India’s urban landscape through its residential developments under the ‘Mahindra Lifespaces’ and ‘Happinest’ brands; and through its integrated cities and industrial clusters under the ‘Mahindra World City’ brand. The builder being located in major realty happening areas also owns a project in major residential hubs Mahindra Lifespace Windchimes Phase II a project which is developed on luxury plans, has attracted luxury home seekers attention. Mahindra Lifespaces delivers innovative customer-focused solutions that are rooted in a legacy of trust and transparency. The Company’s development footprint spans 23 million sq. ft. (2.137 million sq. m.) of completed, ongoing and forthcoming residential projects across seven Indian cities; and over 4960 acres of ongoing and forthcoming projects under development/management at its integrated developments in four cities. A pioneer of the green homes movement in India, Mahindra Lifespaces has been ranked 4th in Asia in its category, in the ‘2017 GRESB Real Estate ESG (Environmental, Social and Governance) Assessment’. The Company has also been ranked among the top 50 great mid-size workplaces in India – 2017, by the Great Places to Work Institute. · "Transforming urban landscapes by creating sustainable communities."